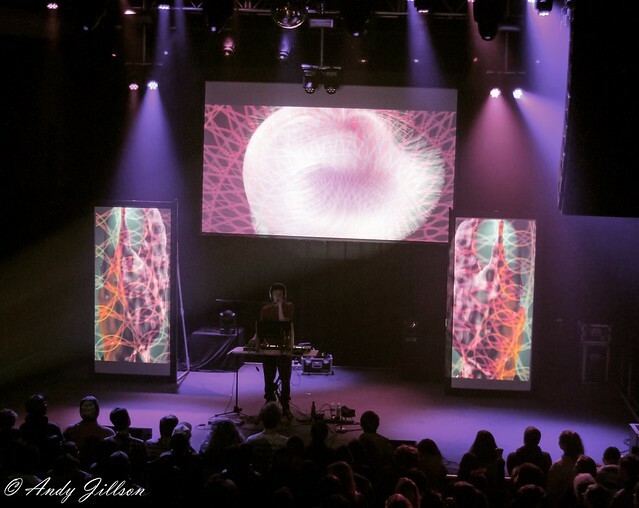 Posted on 02/18/2019 by Andy Jillson	in Live Review and tagged 9:30 Club, Baltimore, bedroom pop, experimental pop, neo-psychedelia, Panda Bear. 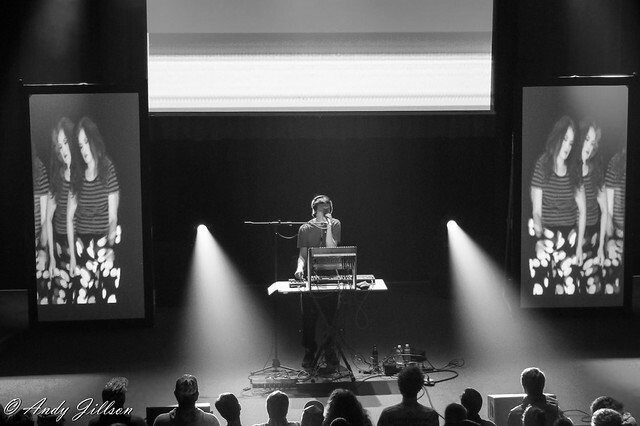 Panda Bear hit the road in February this year for a short US tour following the release of his sixth solo album, Buoys. 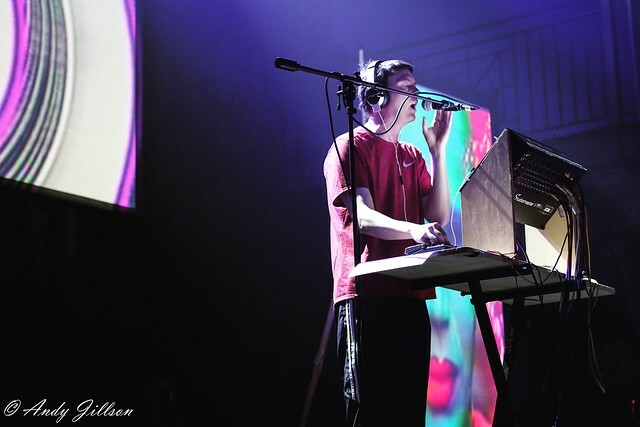 Panda Bear performed as a stoic one-man-band to a sea of fans at DC’s famous 9:30 Club recently. 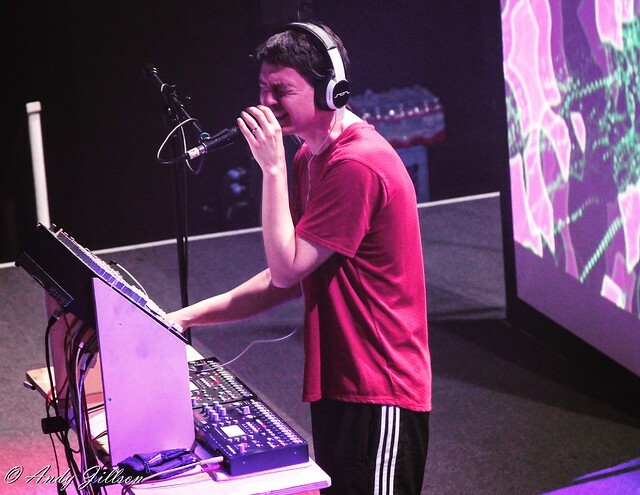 Born Noah Benjamin Lennox, Panda Bear is an American singer-songwriter from Baltimore. 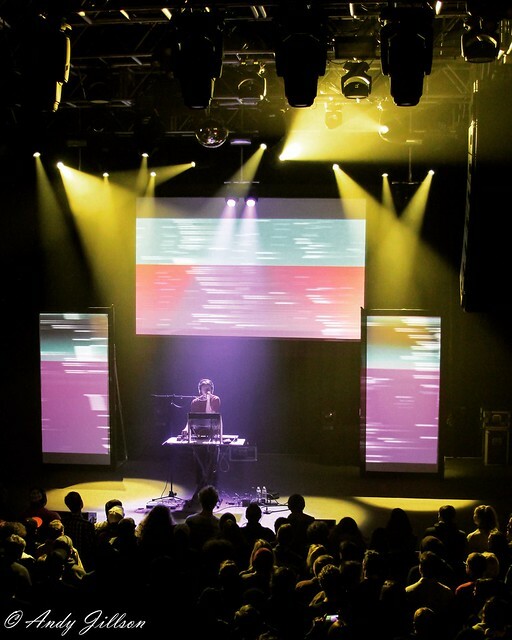 He is a co-founding member of the experimental pop band Animal Collective (you know… the band that released an album titled Merriweather Post Pavilion!). 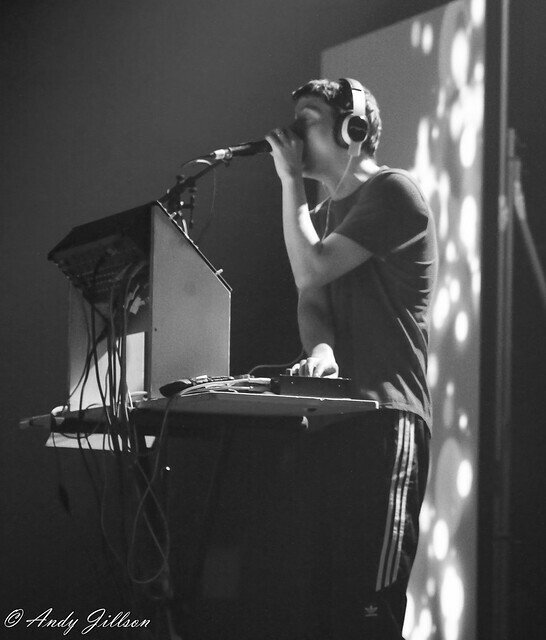 I would best describe Panda Bear’s sound as electronic bubble gum (I’m copyrighting that immediately!) — clean, pretty, shiny, and metallic. It’s upbeat and optimistic music that acts as an antidepressant for some listeners. This was made apparent to me by the crowds reactions to the musical vibrations. 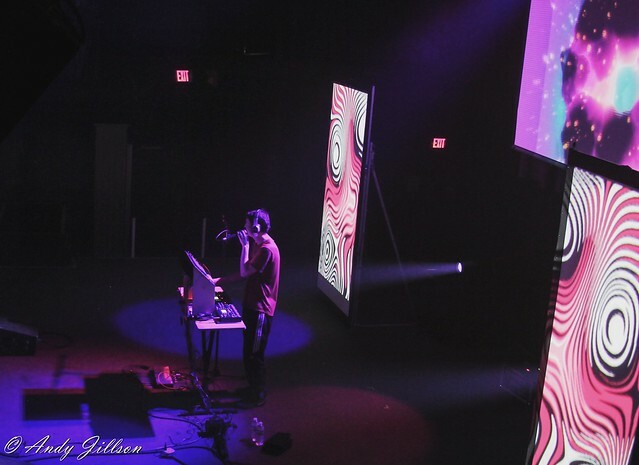 Having only been familiar with a few Panda Bear tracks prior to the show, I didn’t know what to expect strolling into the club that night. Once inside the fans surrounding me had smiles painted across their faces and psychedelic gleams in their eyes. There was much anticipation, and although the show wasn’t sold out, the large crowd gathered tightly together in front of the stage for the entire set. They weren’t going to miss a single moment! 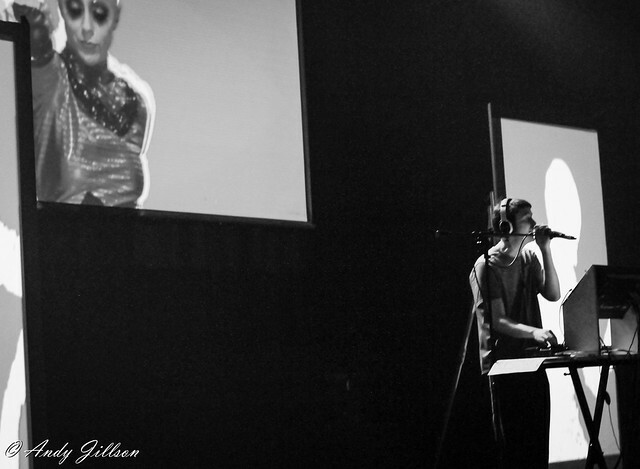 There was no photo pit for this show, and I only noticed one other photographer, which seemed strange. I wasn’t allowed access to the normal vantage spots/positions; however, I was able to weasel my way through the crowd, and I successfully took multiple shots of the beautiful backdrop. 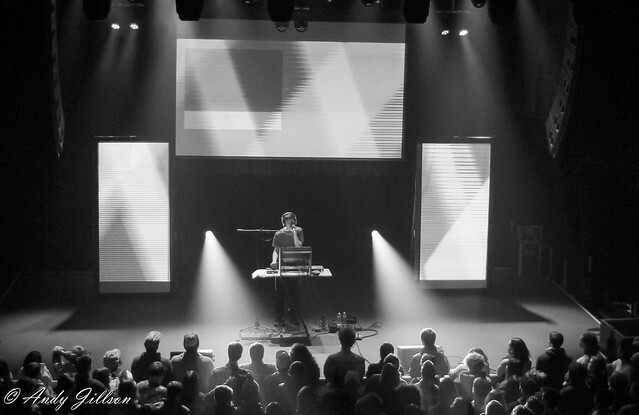 Panda Bear utilized three screens during his performance — one large screen in the middle and two smaller screens on the sides. 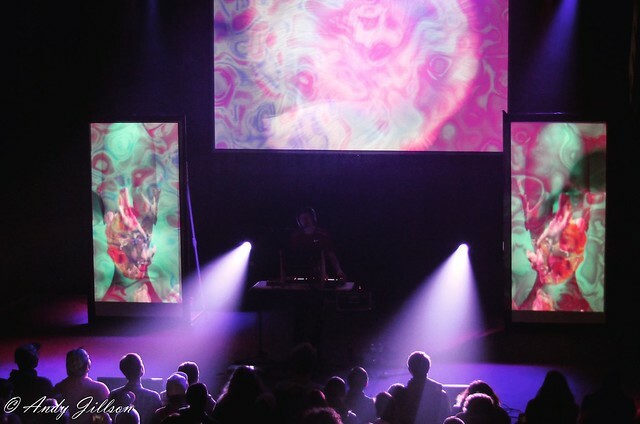 The screens flashed and morphed with trippy eye candy that accompanied his choice of songs superbly. 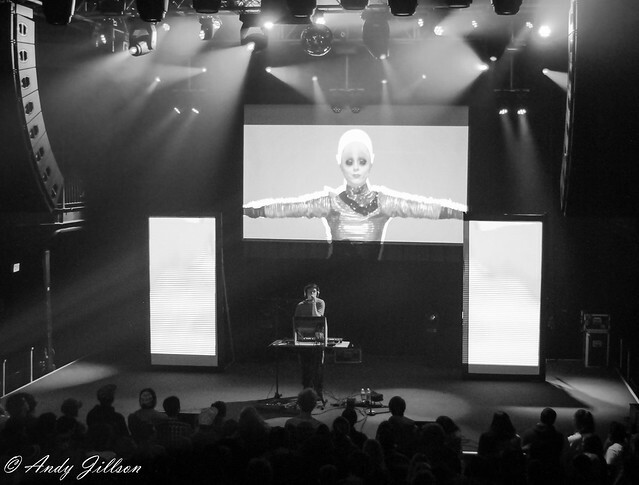 There were several moments during his performance that I spaced-out on the screens and let myself go into the visuals, leaving the music to fall away into the background. The music was subtle but powerful. 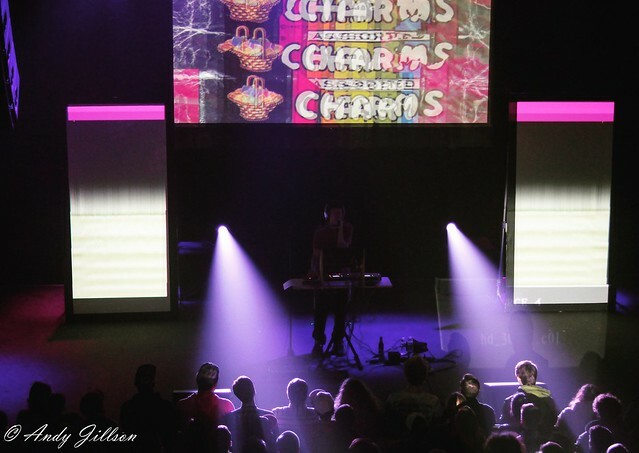 At times, I thought I was in a candy commercial on Mars, and other times I thought I was at a DJ set in a sweaty New York club. Panda Bear played a couple older fan favorites from his albums Young Prayer and Person Pitch, but most of the set was devoted to tracks from Buoys. The two highlight songs from the performance, in my opinion, were “Dolphin” (the first single off Buoys) and “Token” (also on Buoys). 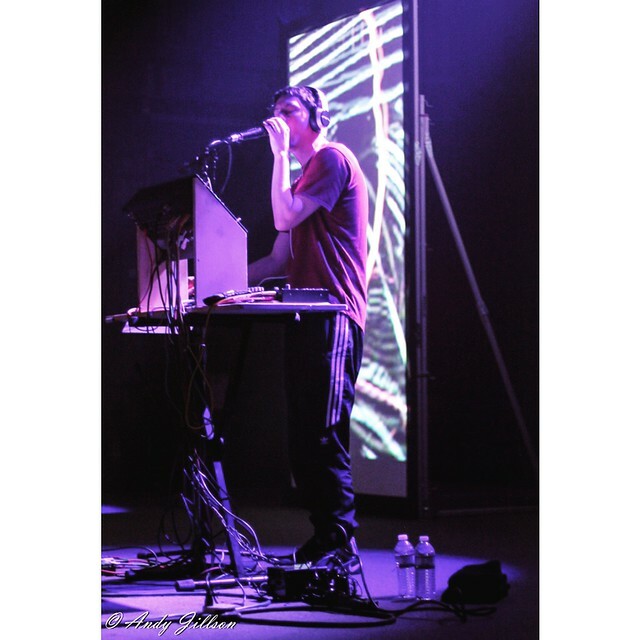 The sound of Panda Bear is definitely different than the sound of Animal Collective, and it appeared that the sound is geared toward a young audience. I don’t know though; maybe I’m getting old (*cries into AARP magazine*). 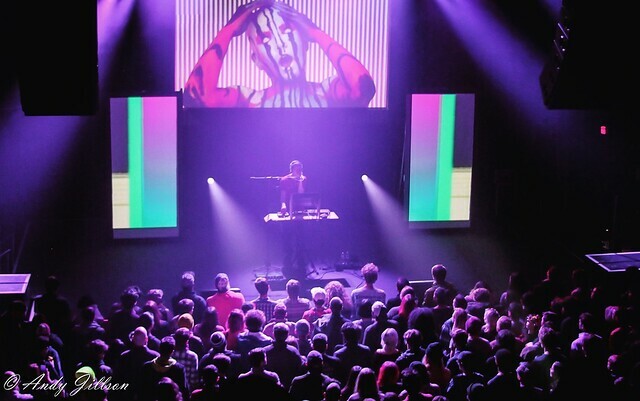 Nevertheless, the show was well worth checking out and one would be foolish not to check Panda Bear out for themselves while there’s still time! 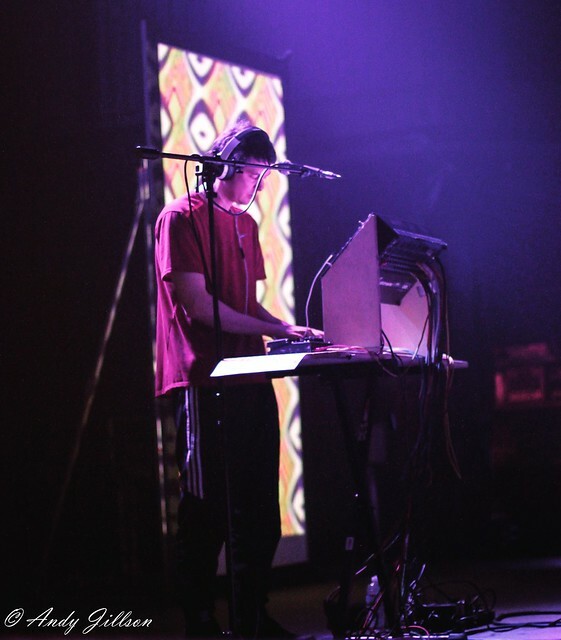 Here are some photos of Panda Bear performing at DC’s 9:30 Club on Feb. 11, 2019. All photos copyright and courtesy of Andy Jillson.